0 April 2017 in the Small Hall LNMA them. 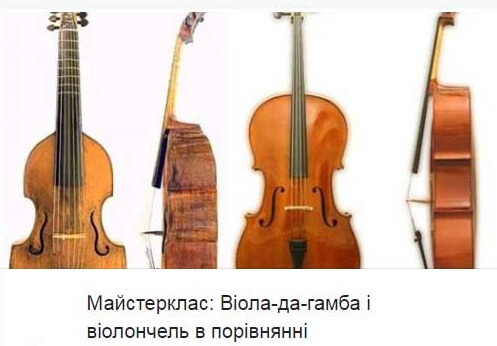 Lysenko presented a lecture demonstration on “Viola da gamba and cello-over” and workshop professor Conservatory Brian Franklin Zurich (Switzerland / Canada). This creative event was attended by Head of the Department string stringed instruments LSSSHMI them. Krushelnytska NY Kvyk and students of the class. 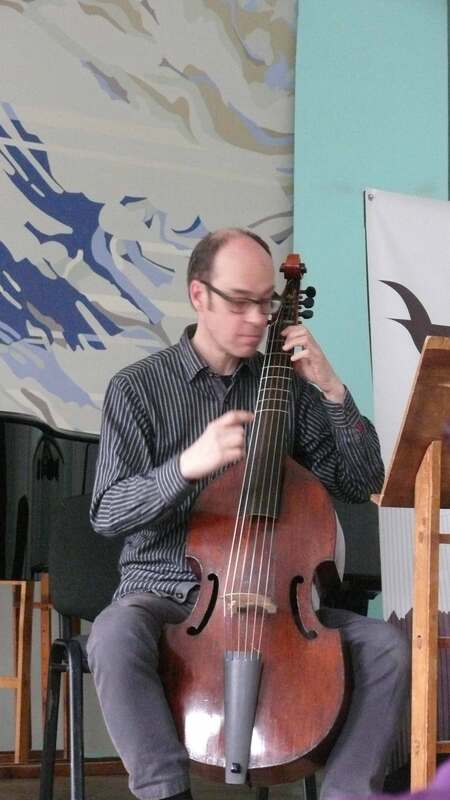 Report by Professor Brian Franklin “The sound of viola da gamba, an instrument as solo and ensemble compositions in different” – was extremely interesting and informative, especially in historical perspective. 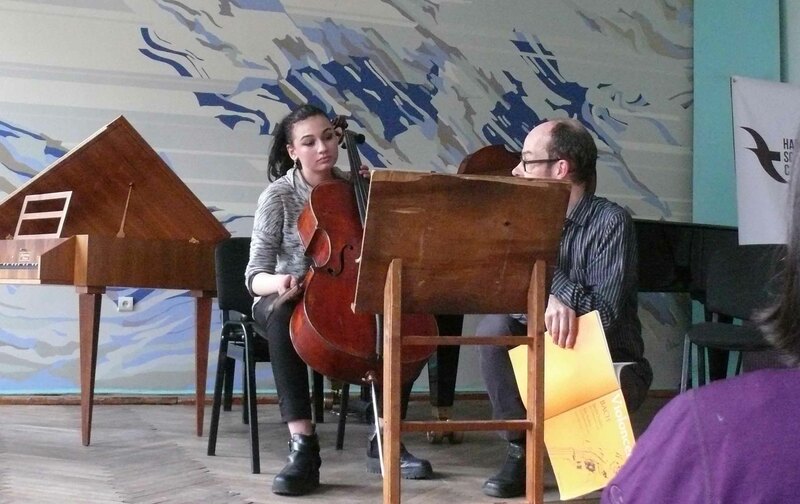 At the master class with Professor came to Lviv artists viola da gamba, from all over Ukraine. Everyone was able to tune to the professor and get good advice. 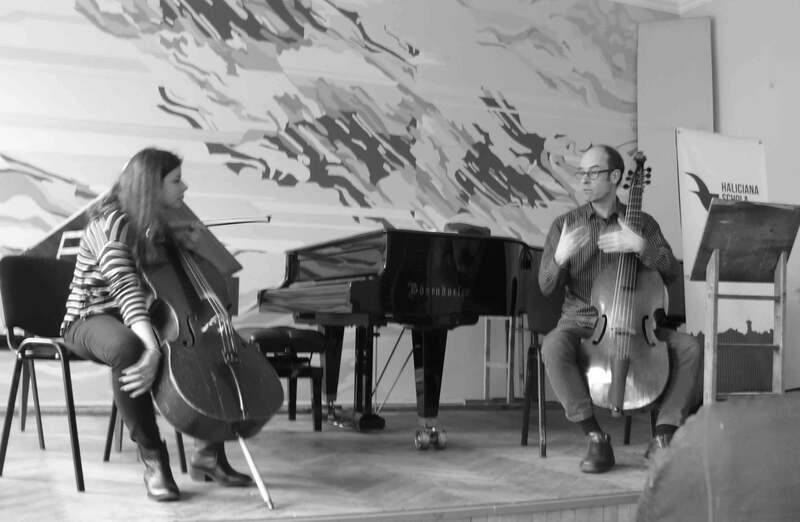 During the master class of Professor Brian Franklin demonstrated on the viola da gamba, – tools XVII., Which specifically brought to the city, some excerpts from works. 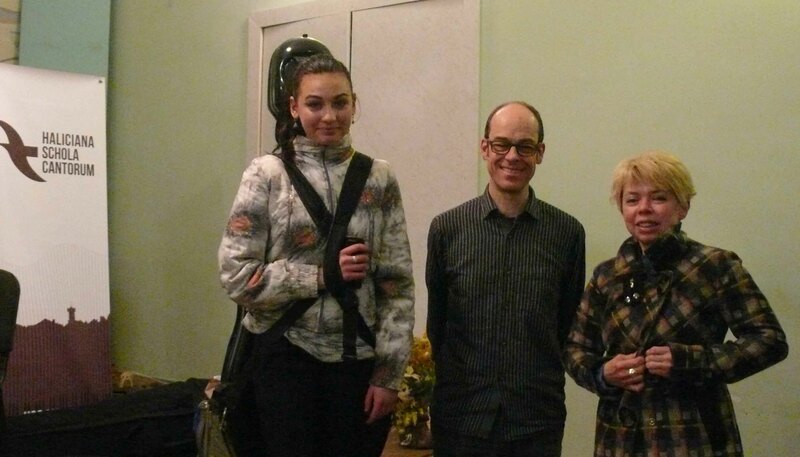 Successfully participated in a master class student, cellist, and LSSMSH them. S.Krushelnytska Catherine Dulko and Flavia Rashfal (class teacher. N.Kvyk). They performed pieces from suites for cello solo Bach. Maestro is very thoughtful and deeply held sessions with pupils. After the master class, all participants received a “certificate”. Master Class conducted in English and German. Lives active participants artistic communication – a very necessary and interesting for young musicians, and for teachers. The project is organized within the formal cooperation LNMA them. 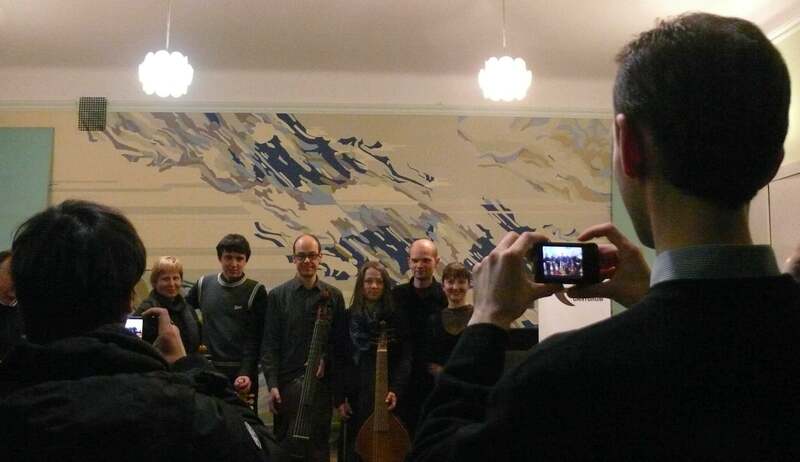 Lysenko and Ukrainian-Swiss Association Haliciana Schola Cantorum.